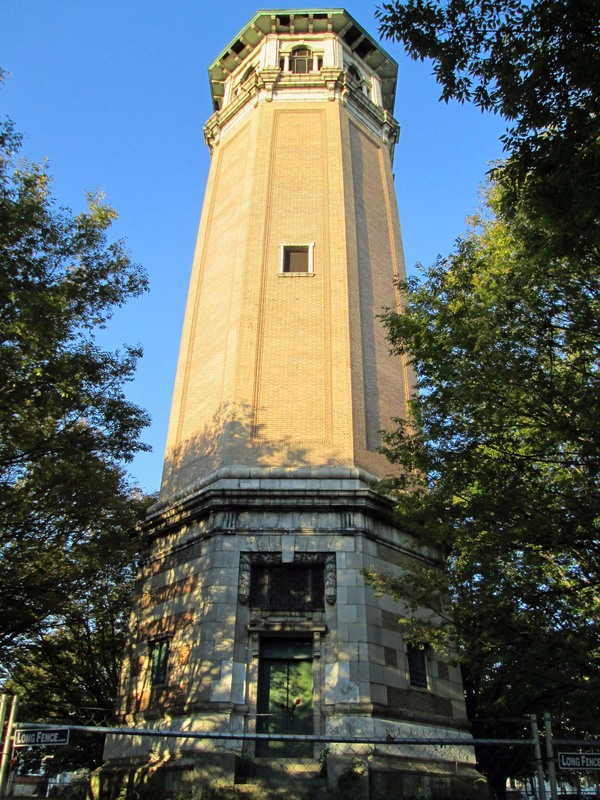 Received an email – you know the kind – a city resident has a complaint, goes to their City Council Person, goes to the Director of Public Works, goes to my boss – who sends it to me to investigate: The area around the Roland Water Tower is the site of 24/7 drug dealing activity. Shouldn’t this complaint have gone to the police? Being the good employee that I am, I went to investigate. For a 24/7 drug spot, the grounds looked clean and I saw only 2 people, walking their dogs. My mission was to see if there was any available electricity for new lighting? There are already 5 street lights surrounding the property. I could not get inside the tower itself to see if there was electric. I doubt it. 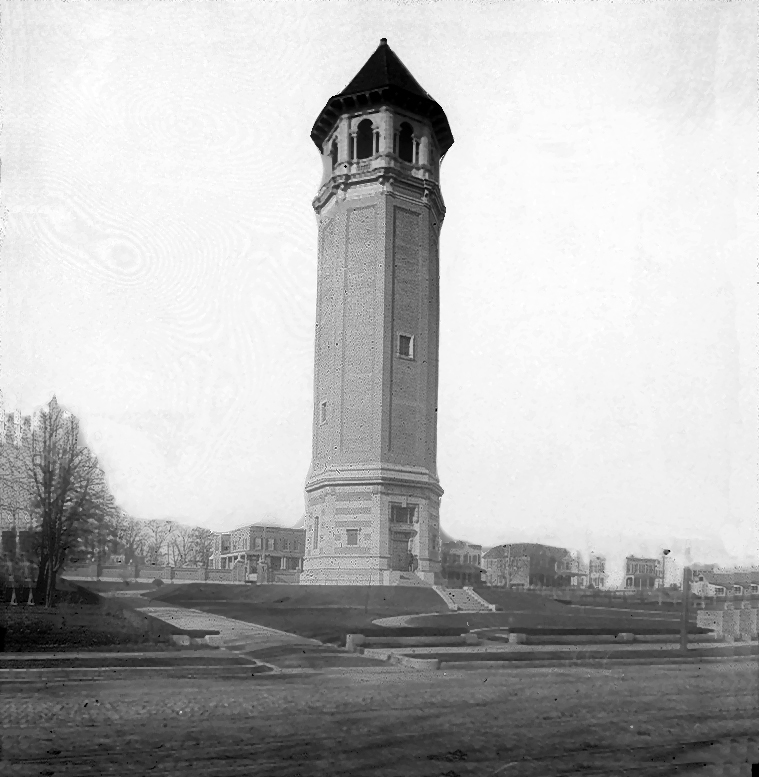 Time for a history lesson: The Tower was built, according to the bronze tablets, between 1904 and 1905. According to my records the contract was awarded to two contractors – one for the steel tower and one for the brick enclosure. Then later, another contractor for the concrete pool and steps. The steel stand pipe being built by Tippett and Wood. The brick enclosure by John Stack. The steps and pool by the Andrew Co.
As it looked this morning. There is a fence around it, which I was able to go through. Pieces of the tower are falling down. This is the purpose of the fence – to keep people out and to keep people away from the falling pieces. 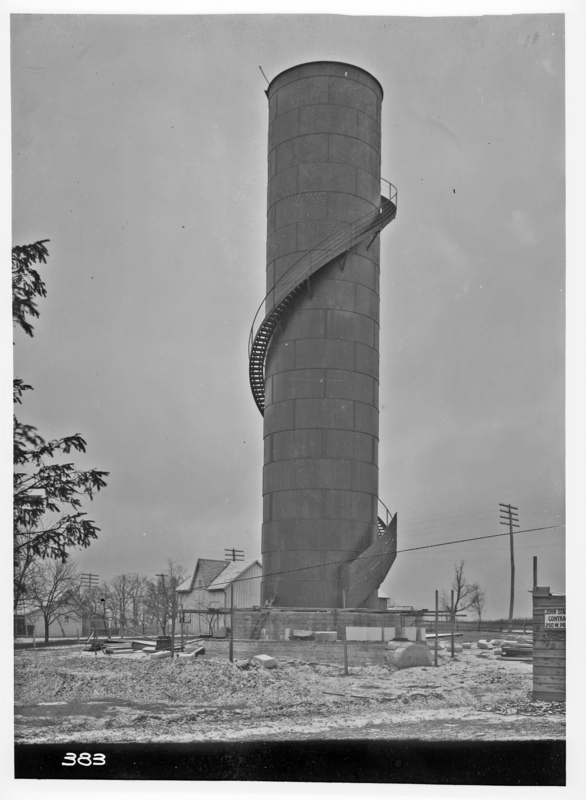 The tower held about 213,000 gallons of water that it received from Druid Lake. The design was by William Fizone, who also designed the Montebello Filters. The pool has been filled in. In 1939 the Water Board turned the property over to the City Comptroller. 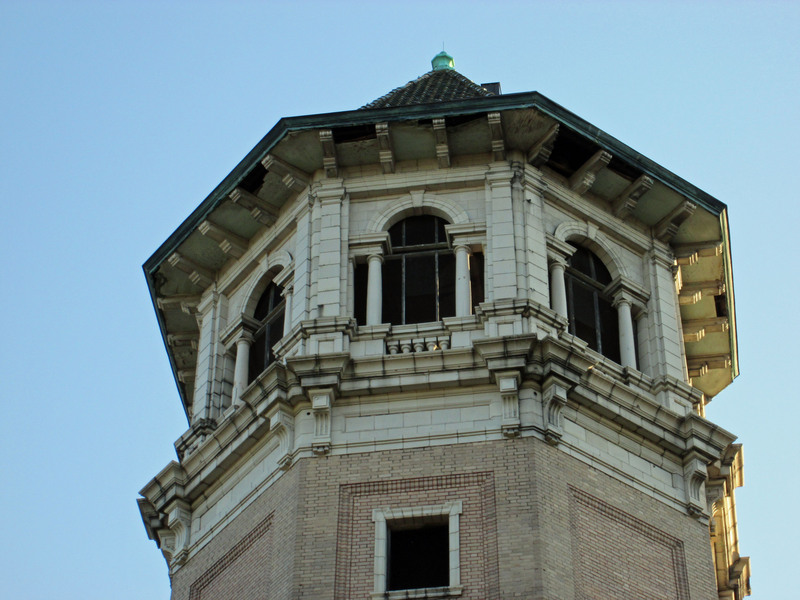 In 2009 and again in 2011 consultants were hired to figure out what to do with this abandoned tower. It had a couple times been turned over to the Roland Park Community Association, who tried to raise funds to restore it. And it still sits – a magnet for the druggies and dog walkers. In the 1950’s – ? 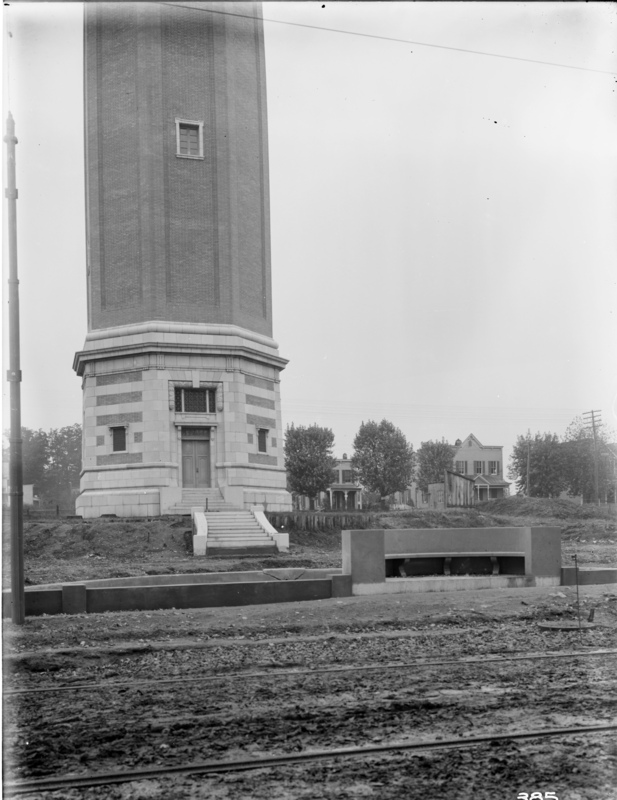 the tower was the ‘circle’ change direction point for city transit. Excellent post, thank you. I posted this to the Friends of the Roland Water Tower FB page.